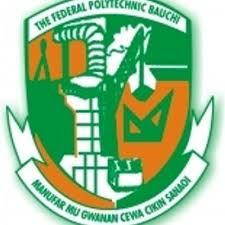 Federal Polytechnic Bauchi, Receives a Three Man Team from University of Maiduguri for the Pre-Resource Verification Exercise in Preparation for Affiliation to run two PGD and Six Degree Programmes with University. The Management of the Polytechnic received a three man team from University of Maiduguri for the Pre-Resource Verification exercise in preparation for the affiliation to run two PGD and six Degree programmes with University. The team which was headed by the Director Affiliation of the University, Prof. A. B. Alhassan, expressed satisfaction with quality of staff, infrastructures and equipment put in place by the Polytechnic. He assured the Management of the positive outcome of their reports. In his address of welcome, the Rector, Arc. S. W. Gumau thanked the University for responding to the request and assured the team of the Polytechnic's total commitment and support for the collaboration.